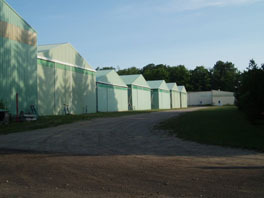 With 85,000 square feet of heated storage, 60,000 square feet of unheated storage, and 15 acres of land, we can comfortably store your sail or power boat at the Northport Bay Boat Yard located in Grand Traverse Bay. 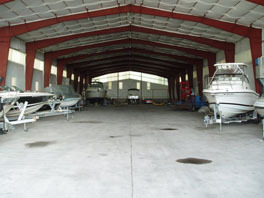 We offer both heated and unheated indoor storage and outdoor mast-up storage for sailboats. Our service team members, who specialize in hauling, launching, and rigging, will transport your boat from the water and into storage in the fall and bring it from storage and into the water in the spring. It is our goal to offer you peace of mind during the storage season knowing that your boat is safe in our storage facilities.